There are two related, but distinct, concepts that bear thinking about when contemplating hotel loyalty currencies. 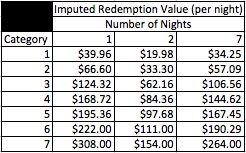 The same concepts are involved in airline mile redemptions, but in a much more nebulous way since airline award availability is much more closely tied to fares than in the hotel world, where (in some cases and under some circumstances) you are able to redeem your points for hotel rooms year-round. Those concepts are "point density" and what I've called in the past (Club Carlson, Hilton) the "value per night required" to justify manufacturing spend on a co-branded credit card rather than a 2.22% cash back credit card like the Barclaycard Arrival+ MasterCard. Point density, in the sense I use it, is a specific measure of the rebate value of a dollar spent with a hotel chain when the earned points are used for award stays with that chain. On this page, I've calculated the point densities for 6 hotel loyalty program under a variety of conditions. Point density takes into account 2 variables: your elite status with the chain in question (and use of a co-branded credit card, if applicable) and the desired hotel category you aim to redeem your points in, and generates a single number: the number of dollars you need to spend to generate that award night redemption. 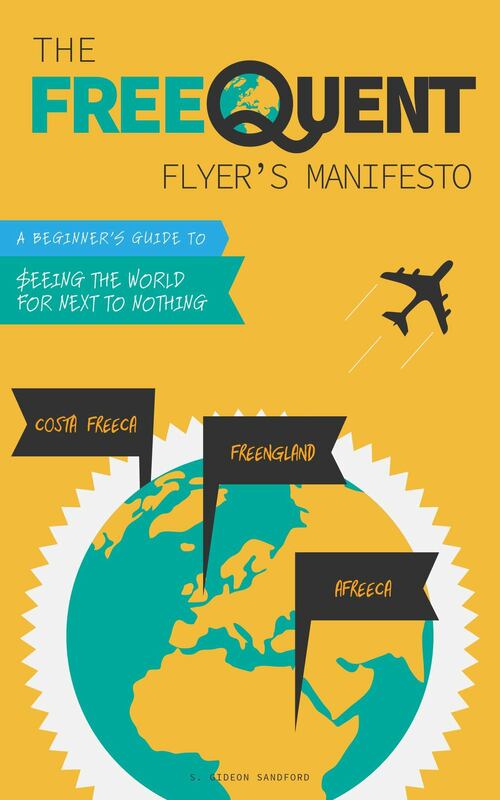 Some of this information was assembled by Travel is Free in this sprawling infographic (now slightly dated). You'll want to examine my complete point density charts if you want to make an educated decision about your own loyalty. Point density is the concept you want to focus on when you're paying out of your own pocket for your travel or have a choice where your employer puts you up. By examining the various point density charts, you can decide where the rebate value of your hotel spend will be highest: which chain will reward you with free nights at the properties you want to stay the most quickly? What I've previously called the "value per night required," but which is better called "imputed redemption value," measures something different: the value you need to get from redemptions of your manufactured spend to justify putting it on a hotel's co-branded credit card rather than a 2.22% cash back card like the Barclaycard Arrival+ World MasterCard. Reading this chart is simple: if you're redeeming 70,000 Gold Points for one night at a Category 7 Club Carlson property, your imputed redemption value is $308, since that's the value of the Barclaycard Arrival miles you could have earned with the same $14,000 in manufactured spend. If a revenue room at the same property is less than $308, you would have been better off manufacturing that spend on a 2.22% cash back card — or staying at a cheaper property! However, as I've stressed before (here and here), that doesn't mean you shouldn't redeem your Gold Points for that night. On the other hand, if you find yourself consistently redeeming your points for below their imputed redemption value, you should take the time to reconsider your overall miles and points strategy. Here's a real-life example of decision making using this chart: I'm planning a 2-night stay at the Hilton Molino Stucky Venice this January, when the cheapest standard room award is 50,000 HHonors points. When I pull up room rates at the property, I find that rooms on my travel dates are costing $193. Since that's $8 above the imputed redemption value of $185 for 2-night, 50,000 point stays, I know that I'm not going to be leaving money on the table booking with HHonors points rather than my Arrival+ card. This analysis doesn't take into account the points and elite night and stay credit earned on paid stays. In this case, by booking with HHonors points I'm foregoing about 3,700 HHonors points (as a Gold elite), or more depending on any promotions running in January. That's a trivial enough sum that I'm comfortable disregarding it, but if you're gunning for high-level elite status with a chain that rewards loyalty better than Hilton does, like Starwood or Hyatt, foregoing your elite stay and night credits might require a larger redemption surplus. When deciding whether to redeem a fixed-value points currency or a hotel's own loyalty currency, you'll ideally maximize the difference between the value of your stay and your imputed redemption value. That's the money you "save" by manufacturing spend on a co-branded credit card instead of a 2.22% cash back credit card. In this light, some of the higher imputed redemption values in the charts above are so high it's hard to imagine their relevance. In reality, if you look closely at the properties involved you might find the values are not completely unrealistic. True, in a few minutes of surfing I wasn't able to find a single IHG property that retailed for over $1,100 per night. But Park Hyatts like Milan ($662 for the first date I checked), Paris Vendome ($730), and Sydney ($939) can easily exceed the $660 imputed redemption value for Category 7 properties. That's worth keeping in mind if you have your heart set on a specific property in an exotic locale (so-called "aspirational" award trips). Imputed redemption values give you a simple method to decide how to achieve your travel goals as effectively as possible. On that note, consider that cash and points awards, such as those offered by Hilton, Hyatt, and Starwood, sometimes provide the best of both worlds: the ability to redeem your Arrival miles against the cash portion of the award, while cashing in your hotel points at a value that exceeds the "remaining" imputed redemption value for your stay.